A couple years ago I saw the documentary “Who Killed the Electric Car?”. While I am sure some of its claims are exaggerated and definitely slanted, it illustrates how effectively the oil and auto companies can stall and even destroy viable alternatives to the internal combustion engine. 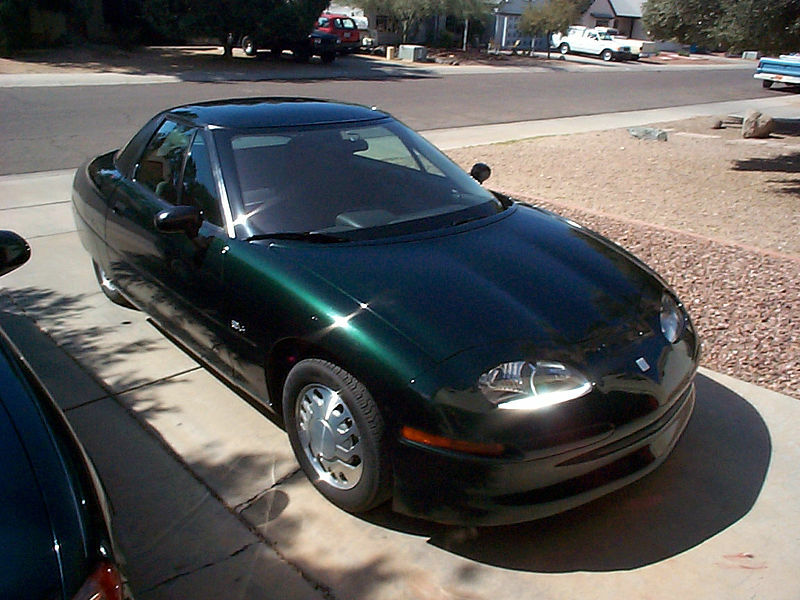 It tells the story of the EV-1, an entirely electric vehicle released by GM in response to a proposed piece of legislation in California mandating that by 2003, 10% of all new vehicles sold had to be zero emissions vehicles.The vehicle came out in 1996 with a second model coming out in 1999. The second model with the newest battery technology at the time had a range of 160 miles between charges and an electronically set top speed of 80mph. Additionally, the EV-1 required almost no maintenance since it didn’t have a traditional engine. Eventually GM decided to scrap its fleet of EV-1’s citing the lack of a viable market for the vehicle at the time. When they scrapped the program, GM also sold off their controlling share in the battery technology that was developing rapidly. The patent for the battery was eventually sold to Texaco, who was bought up by Chevron. Needless to say they weren’t exactly chomping at the bit to further develop and liscence the technology at the time. Essentially they bought the patent to shelve it till they could make a massive profit off of it. I recently saw a trailer for a new documentary coming out soon called The Revenge of the Electric Car dealing with the new generation of Electric Vehicles coming onto the market. It seems that there has been a resurgence of desire for fossil fuel free vehicles and hopefully a viable market. In fact many major american auto companies are staking their revival on the hope that an electric vehicle market will explode (The Chevy Volt is a great example of this).